The world on the other side of your computer screen might as well not exist. In the battles waged between governments, WikiLeakers and computer hackers, the real world doesn’t count for much. Now, the FBI and its international partners have struck the notorious hacking collective Anonymous a potentially fatal blow. But how many lives does a hacker have in a universe of bits and bytes? By RICHARD POPLAK. “In humanity’s relentless drive for convenience and economic growth,” wrote Mischa Glenny in DarkMarket: Cyberthieves, Cybercops and You, “we have developed a dangerous level of dependency on networked systems in a short space of time.” You don’t say. The international financial system, along with our governments, have weaned us off of reality and onto the Internet. We are trackable, traceable, locatable. Our lives are etched in code on the granite edifice of information that makes up cyberspace. There are no guarantees of privacy; security breaches are but a wormhole away. As long as there have been secure sites, there have been hackers trying to breach them. Think back to Matthew Broderick’s performance as a puckish hacker in the 1984 film War Games. Before there was an Internet, Hollywood was hacking into it. Matthew Broderick’s spirit lives on, in the guise of thousands of young men who spend their days and nights breaking down firewalls and causing all manner of e-havoc. Some are in it for the money; some are in it for the thrill. The history of the hacker is the history of networked computers. They are the price of our so-called convenience. Anonymous, the hacking collective that rose alongside the WikiLeaks controversy, are the logical end point of the hacker ethos. In as much as anyone knows anything about them, they appear to be a loose international cabal of men in their late teens and twenties, ideological anarchists all. But there is no real consistency in the group, and nor do their interests always align. The fall of Anonymous began with the fall of a splinter group called LulzSec – who broke into corporate websites just for the lulz of it. And there were lulz aplenty. That is, until the group’s most prominent member, The Real Sabu, was busted late last year. Sabu’s arrest was kept on the QT, mostly because he was willing to turn informant for the FBI. If Glenny’s account of the death of the carding group DarkMarket is anything to go by, online groups like Anonymous are a snake pit of competing egos and interests, where even a group’s elder statesmen are suspected of collusion with the authorities. The stakes are enormously high. 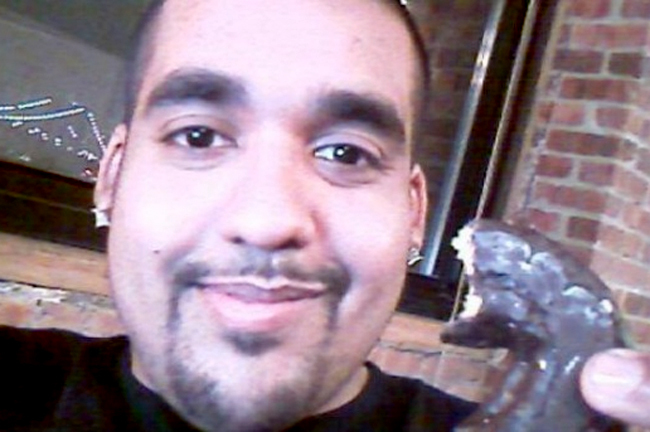 When Sabu, AKA Hector Xavier Monsegur, 28, of New York City was busted last year, he faced dozens of hacking charges and 124 years in prison. He was hacking out of his grandmother’s apartment in the Lower East Side, where he looked after his two kids. He was fond of quoting revolutionaries online, and often baited the FBI, Interpol and his fellow hackers on Twitter. What does Sabu, and more broadly, Anonymous believe in? Well, they don’t believe in government and corporate institutions that hide their dirty laundry behind firewalls. The collective hacked Fox News, the US contractor HBGary and, of course, the FBI itself. Photo: One of the Anonymous logos. ANONYMOUS. No one was safe, and since the mid-zeroes, law enforcement agencies all over the world have been pouring resources into fighting cyber crime. The battle lines are stark: on one hand, a band of misfits who believe in complete openness but benefit from all of these closed systems (the amount of money that Anonymous connected hackers have stolen is gobsmackingly huge.) On the other hand, the institutions that depend upon their information being secure, backed by the might of the FBI and its allies. Anonymous takes down security firm’s website, vows to fight on after arrests, in Computerworld. Arrests sow mistrust inside a clan of hackers, in The New York Times. Photo: Sabu, AKA Hector Xavier Monsegur. SCREENGRAB.